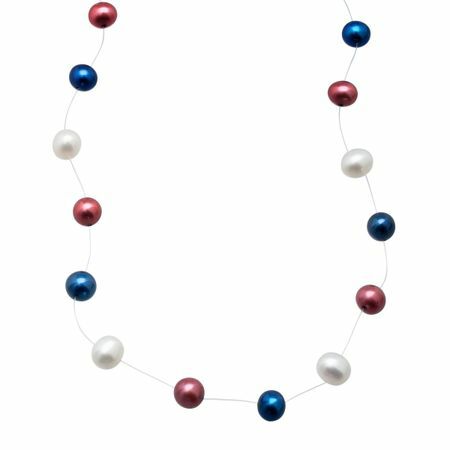 Proudly display your patriotism and style with this eye-catching Americana-inspired freshwater pearl floater necklace. Lustrous cherry, white and indigo 6.5-7.0mm cultured freshwater pearls spaced delicately on nearly invisible wire finished with a sterling silver lobster clasp make for an angelic yet striking look. Piece measures 18 inches in length.